Kate was awarded a CBE by Queen Elizabeth in May 2013. In August 2012, Kate scored a number 6 UK hit with her remixed, new vocal version of Running Up That Hill, as featured in the closing ceremony of the 2012 London Olympic Games. On May 1st 2012, Kate made a rare televised appearance to receive the South Bank Show award for her latest album. 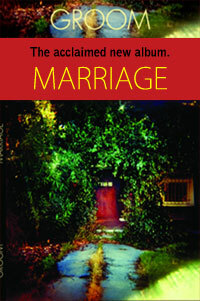 The album was also nominated for a Brit Award and for the Ivor Novello award. 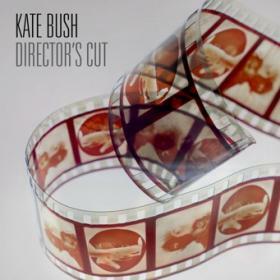 Kate released a new album “Director’s Cut” on May 16th 2011 on her own label Fish People, in conjunction with EMI. On “Directors Cut” Kate revisits a selection of tracks from her albums “The Sensual World” and “The Red Shoes”, a process that presents a fascinating portrait of an artist in a constant state of evolution. 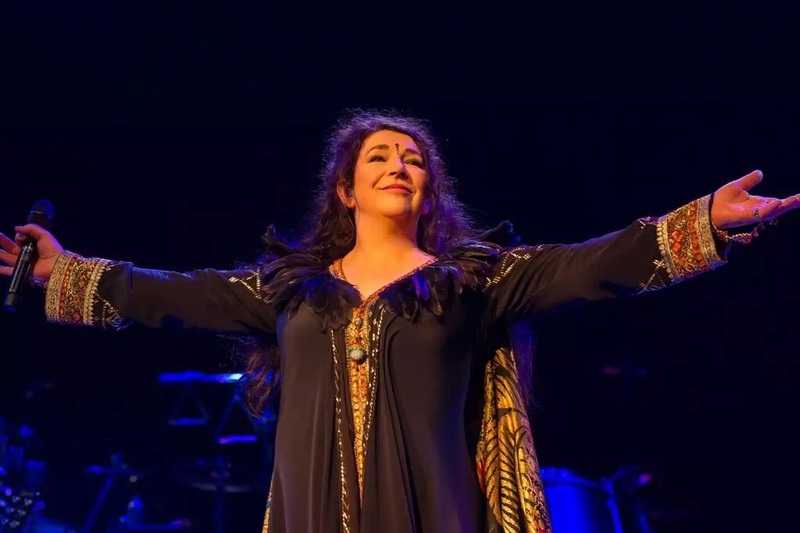 She has re-recorded some elements whilst keeping the best musical performances of each song – making it something of a director’s cut but in sound, not vision. A new version of “Deeper Understanding” was released as a download single on April 5th. Deeper Understanding was accompanied by a short film, directed by Kate, starring Robbie Coltrane, Noel Fielding and Frances Barber. Kate’s son Albert plays the role the computer programme. All the lead vocals and drums on “Director’s Cut” are new performances, some of the tracks featuring guests including Steve Gadd, Danny Thompson and, on backing vocals, Mica Paris. Three songs have been completely re-recorded; “This Woman’s Work”, “Moments of Pleasure” and “Rubberband Girl”. “Director’s Cut” is released in the following formats: Digital Album, Standard CD in a case-bound book, Deluxe CD (three disc package, including Director’s Cut, The Sensual World and re-mastered The Red Shoes) in a case-bound book and two-disc vinyl. 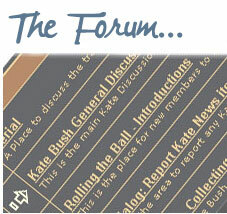 2011 saw Kate launching her official Facebook, Twitter and Youtube pages. 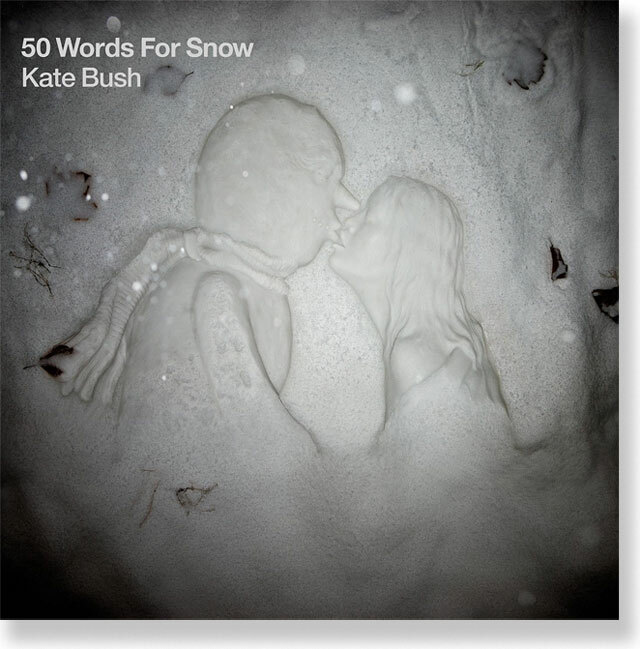 2011 also saw the re-release of five of Kate’s albums on her Fish People label; The Dreaming, Hounds of Love, The Sensual World, The Red Shoes and Aerial, plus the US release of a limited edition 10″ Hounds of Love EP to promote Record Store Day on April 16th. In July 2010, Kate re-released Hounds of Love on an audiophile vinyl edition, in time for the album’s 25th anniversary of release, with The Sensual World released on vinyl in November 2010. In May 2010 Aerial was madeavailable to download from iTunes for the first time, including a version of ‘A Sky Of Honey’ that now runs as one piece of music, which is how it was always intended to be heard. This new version of Aerial was also released by EMI on CD in 2010, with the second disc retitled “An Endless Sky of Honey”. She has recorded a version of “She Moved Through The Fair” with Rolf Harris which is yet to be released by him. 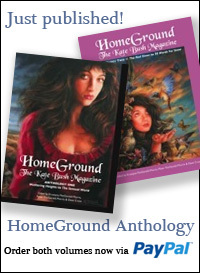 2008 saw fans celebrating the 30th anniversary of the release of Kate’s first record, Wuthering Heights. Kate wrote and recorded a new song, ‘Lyra’ which was featured as part of the soundtrack to the major fantasy film The Golden Compass, released December 7th 2007. Kate’s double album AERIAL was released to fantastic reviews on November 7th 2005 and entered the UK album chart at number 3, and the European chart at number 2. Kate’s single KING OF THE MOUNTAIN was released on October 24th 2005 and reached number 4 in the UK singles chart. Both the single and album were produced by Kate. Aerial was nominated for Best British Album at the 2006 Brit Awards, Kate was also nominated for Best British Female Solo Artist. Kate says: “I’m so pleased with everyone’s work on this record. There are some lovely performances and I hope you will all feel it’s been worth the wait. Bertie keeps me very busy, he is so much fun”. Contributors to the new album include drummer Stuart Elliott, jazz percussionist Peter Erskine, John Giblin, Eberhard Weber and Bosco D’Oliveira. Paddy Bush and Lol Creme provide vocals. Chris Hall plays accordion on one track. The late Michael Kamen wrote the string arrangements for two tracks which appear on the album. Kate recorded what she described as “some beautiful orchestral movements” with him and the London Metropolitan Orchestra at Abbey Road in October 2003. Del Palmer engineered. On May 23rd 2002 Kate received the Ivor Novello award for Outstanding Contribution To British Music By A Songwriter. Kate appeared live for the first time in almost 15 years singing Comfortably Numb as David Gilmour’s special guest at his Royal Festival Hall concert on January 18th 2002. Kate won the Best Classic Songwriter award at the 12th Annual Q Magazine awards on 29th October 2001. In an interview in December 2001 a happy Kate talked about progress on the new album and her happiness with her son Bertie. After receiving a standing ovation at the Q Awards she said: “This is just great, I am making an album but it is just taking a little longer than I thought and I have been having a great time with my son.” We warmly congratulate Kate on all her awards and recognition from her industry peers.